It all started with one man – Caesar Augustus, who visited Narbonne in 27 BC. From this point the new Roman province was called Narbonensis, and is the oldest Roman city founded in Gaul. 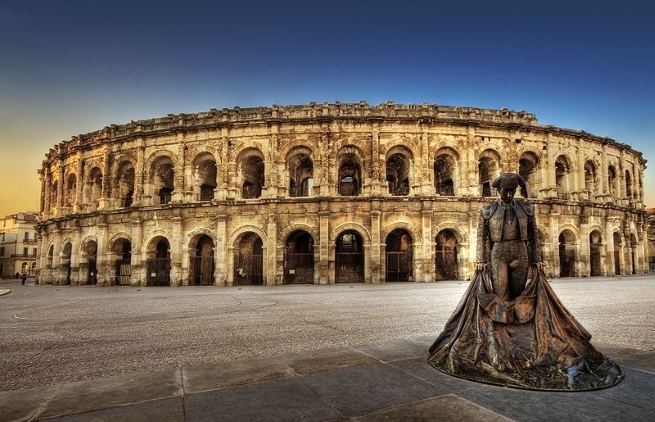 Later, Nimes was founded on the banks of the Fontaine spring; the site of the cult of the god Nemausos. The population grew from a few thousand to about 20,000 between the last century BC and the first century AD. The city walls were 6km long, a gift of August in 16-15 BC. 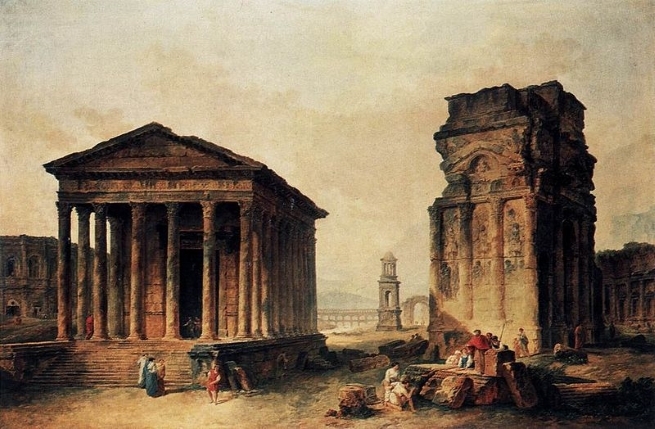 The main monuments of the city were the Fontaine sanctuary, built in honour of the cult of the Emperor, and the Forum, south of which was built the Maison Carrée. The Tour Magne marked the sanctuary of the Imperial Cult for travellers and also served as a watchtower. The aqueduct of the Pont du Gard was built later in 40 – 60 AD, and the arena around 90 AD, to seat 23,000. The Forum was a square lined with public buildings and porticoes. This was the nerve centre of the city, where discussion of public matters and private affairs took place. The Maison Carrée was the temple of this square, dedicated to the “Princes of Youth”, to Augustus and his grandsons and heirs who died at an early age. It is possible to visit the interior of the building. The Porte d’Auguste is also of interest – this gate and statue of Augustus was part of the Roman remparts protecting the city of Nimes. Crocodile bronze coins were minted by the Romans from 28-27 BC onwards, showing a crocodile (symbol of Egypt) chained to a palm tree (Roman symbol of victory). This symbol was given to Nimes in celebration of the role of its contingent in the Roman army which defeated Anthony at the battle of Actium (31 BC). Today you can find the symbol on discs among the paving stones of squares and elsewhere, and there is a large version to look out for on the floor of the indoor market, les Halles du Coupole.